Portugal launched its NAP in 2009 for the period 2009-2013. The second NAP was launched in 2014 for the period of 2014-2018 and was developed on the basis of recommendations from an independent external evaluation of the first NAP and from recommendations from a public consultation held on the evaluation of the first NAP. Portugal does not have a recent history of conflict, but plays a role in international peacekeeping and humanitarian efforts. An analysis of Portuguese participation in humanitarian and peacekeeping missions demonstrates the importance that Portugal has assigned to the role of women in the areas of security and defense, as well as the vital role that women have played in the resolution of sensitive issues, such as support for victims of violence and discrimination based on gender contributing to a better protection of women, girls and girls in conflict and post-conflict situations. From a recent academic analysis on the first NAP: Portugal’s NAP cites the efforts of Portuguese peacekeeping missions, national campaigns and initiatives already in place to further gender equality at a national and international level. It mentions a preoccupation in increasing the participation of women in peacekeeping missions both on the ground and at decision-making levels, and reiterates its commitment to working with both European and international organizations in peacekeeping and conflict resolution situations paying special attention to gender vulnerability in particular and women’s human rights in general. (Miller, Pournik, & Swaine, 2014). WILPF International does not have a country section in Portugal and therefore was not involved in the development process of Portugal’s NAP. The second NAP was developed on the basis of recommendations from an independent external evaluation of the first NAP and from recommendations from a public consultation held on the evaluation of the first NAP. The second NAP of Portugal acknowledges the essential role of civil society organisations in the development of policies pertaining to the implementation of UNSCR 1325 as well as by complementing the military, security and civilian personnel in conflict and post-conflict situations and in cases of emergency. The second NAP therefore notes, that is is vital to collaborate with civil society to achieve the objectives set out by the NAP. To promote meetings with representatives of the civil society for the implementation, follow-up and assessment of the II PNA 1325. To cooperate with civil society organisations in the exchange of expertise within the framework of gender-based issues, in the operational environment and international missions for the maintenance of peace, civil crisis management and emergency management within civil protection. To support cooperation projects promoted by civil society organisations within the intervention scope of this plan. Civil society organisations are involved with the executing of the measures alongside government bodies. The Commission for Citizenship and Gender Equality (CIG) is responsible for the coordination and monitoring of the second NAP. The CIG is supported by a working group which consists of representatives from the Ministry of Foreign Affairs, the Ministry of National Defence, the Ministry of Internal Affairs and the Ministry of Justice. The working group meets twice a year in restricted format and twice a year in extended format including civil society organisations. NGOs and other civil society representatives collaborated with government representatives in the creation of the NAP. The second NAP is implemented through 5 strategic areas which have a set list of partnerships consisting of government bodies and civil society actors in implementing the measures corresponding with each strategic goal. Submit to the CIG, until 15 October 2018, the final report on the execution of the measures under the responsibility of the respective Ministry. Each of the strategic goals has a list of measures, for instance the first of the measures corresponding to the first strategic goal is ‘to promote the increase of women serving in the military and security forces’ as well as responsible entities for implementation and a list of entities involved in the execution. In this case, the Ministry of National Defence. and Ministry of Internal Affairs. and Presidency of the Council of Ministers, respectively. 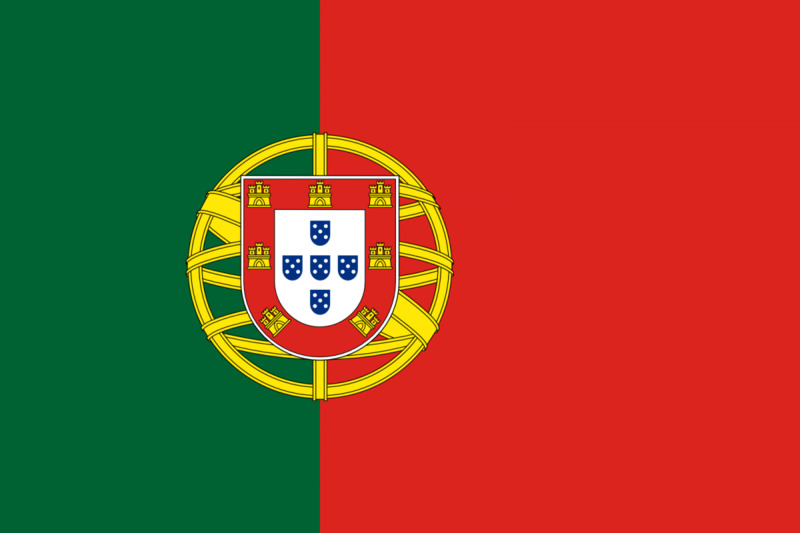 For each specific objective, Portugal's second NAP states a measure to be accomplished, a corresponding goal and an expected outcome. To promote the increase of women serving in the military and security forces. To promote the increase of women’s participation in international missions for the promotion and maintenance of peace and security, for humanitarian aid and for crisis management. To regularly publish the vacant positions in international bodies, in order to encourage the appointment of more women to key positions, decision-making and other positions, in the international bodies that support the promotion of peace and security. To promote the appointment of women to EU, OSCE and CPLP election observation missions. To ensure access to psychological support for the staff and the respective families before, during and after their participation in peace and technical and military cooperation missions. There is no allocated or estimated budget in the Portuguese NAP. Creating conditions to achieve a more equal participation of women and men in international missions for the promotion and maintenance of peace. Number of missions conducted each year. Number of men and women participating in international missions and respective tasks. The Commission for Citizenship and Gender Equality (CIG) is appointed as the coordinator entity of the second NAP by the Council of Ministers and is responsible for the monitoring of the NAP supported by a working group made up of representatives from the Ministry of Foreign Affairs, the Ministry of National Defence, the Ministry of Internal Affairs and the Ministry of Justice. The second NAP is also subject to an independent external evaluation at the end of its term. The second Portuguese NAP does not mention disarmament.